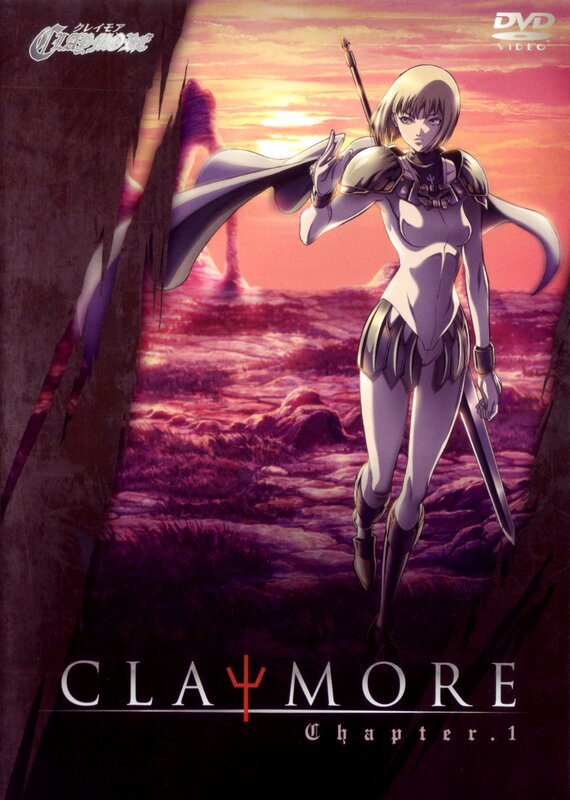 Claymore is a anime that was released in 2007. It revolves around a warrior called Clare who works for the organization. She spends her life going from job to job hunting monster called Yoma, a horrifying beast that preys upon humans. In order to combat these creatures, Claymores (Part human, part Yoma) are dispatched to hunt them and kill them. During one mission Clare meets a young boy called Raki, whose family has been slaughtered by a Yoma that is plaguing his village. Raki is fascinated by Clare and tries to learn as much as he can about her and the Claymores. Clare can not comprehend his intrigue as everyone else she has meet has only looked upon her with fear. Eventually, Clare finds and kills the Yoma. She then immediately leaves the village, at the same time Raki is ostracized from his village as the people fear he may be infected. He then tries to track Clare down in hopes he can join her on her journey. My Review: This anime is a mixed bag for me. I found the first few episodes to be amazing, full of wonderful characters and brilliant action. However, as I got through the episodes I found my interest waning, there were a few episodes of backstory which at the time didn’t seem to serve any purpose other than some character development. Eventually, the story returned to the present however I wasn’t particularly engaged with what was happening. Don’t get me wrong there was still spectacular fights and many cliffhangers that make you want to watch more, the story just started to divert a great deal from what it initially was. However, despite this new direction the plot really picks up towards the end, when we see some amazing fights and some cool new concepts that are considering engaging in a similar manner to the start. One thing that really stood out to me was the soundtrack, there are some really great songs that really add to the atmosphere of the fights and I would have to say that the credit song is one of my all time favourite ending songs.